Zehra is the daughter of a very conservative family living in Germany. All of her life she has been ignored from her family and forbidden to speak her mind. However, Zehra’s life changes drastically with a lie she has to say. In order to run away from her family that wants to kill her with an excuse that she has betrayed them, she claims to be a girl that she looks very similar to, named Hande Kurdoğlu who has been missing for the past 7 years. 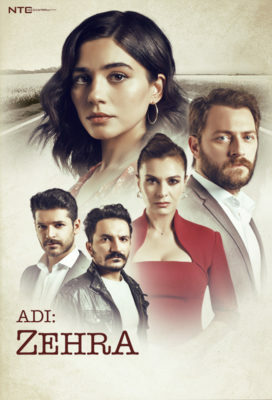 At fırst Zehra feels guilty for lying to this grieving family, but afterwards she start to doubt the innocence of her new family. She decides to find out what the Kurdoğlu family is hiding and what actually happened to Hande. Why it is not working??? Wonder if you can share. Good script. I just watched Suskunlar season 1, which is super worth to watch and has quite the same suspense style than this one. This adi-zehra serie… I am liking it, but I think it’s a little bit too drama, but overall good script. Thank you! I love this series. Looking forward to episode 5. I have been following Fazinet and her daughters series too. Maybe another one to consider is ‘Tears of Cennet’ …. all excellent turkish series! Thanks for your excellent job in translating them to english ….